The 1930s-era Baldwin piano in Diego Caetano's office does enough to get by, but the instrument is more than showing its age. The piano – and the more than two dozen like it in Amarillo College's Music Department – requires constant tuning. And with age, the sound quality gradually degrades, which is becoming an issue when teaching AC music students and using the pianos to help tune other instruments for practice said Caetano, an international concert pianist and AC music professor. Thanks to a $100,000 gift from a donor, AC is beginning a long-term partnership with global piano-maker Kawai to refresh the school's fleet of pianos over time. 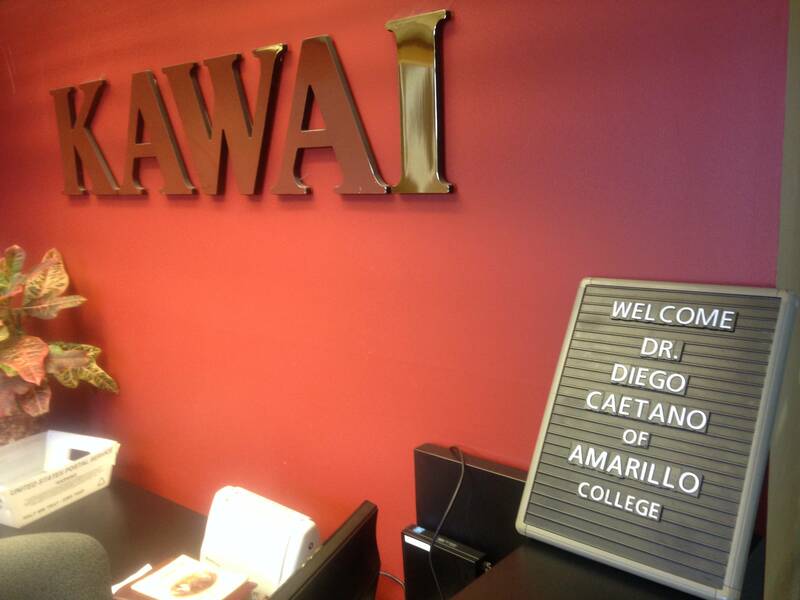 Caetano recently traveled to Kawai America Corp.'s headquarters in metro Los Angeles to choose the first two of the new, state-of-the-art, hand-crafted instruments.